Simply unreal. These are the same loons who screeched when Sarah Palin did a campaign map with crosshairs on it after the Gabby Giffords shooting – they had nothing to do with each other, but that didn’t stop the Democrats from crying foul over make believe targeting. These crosshairs on Trump are an entirely different matter in the wake of Giffords. I guess it’s okay to pull that if you are a Democrat and your target is Donald Trump. Can you just imagine if this tactic was used by Republicans on Hillary Clinton, Bernie Sanders or Joe Biden? The outrage would be epic. Do it to Donald Trump – cue the crickets. Could you imagine if this would have happened to a Democrat? It’s only when it’s a popular Republican that the liberal media thinks it’s acceptable. 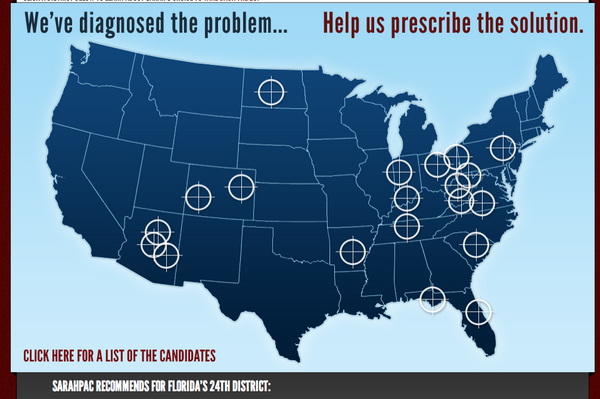 After the 2011 shooting of Gabby Giffords, liberals immediately blamed Sarah Palin for creating a political map with crosshairs marking political districts which she hoped Republicans would win. The map had absolutely nothing to do with the shooting. The shooter turned out to be a left wing loon who needed psychiatric help. Liberals were just politicizing the incident, as they always do. America was then subjected to weeks of finger wagging from liberals who insisted that we needed a new tone in American politics. 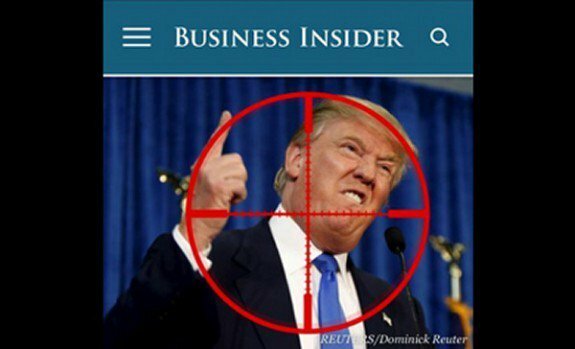 What’s worse is that Business Insider was projecting that Trump was in the crosshairs of the South Carolina Republican Party. So, they were slamming Trump, the GOP and guns. Nice. 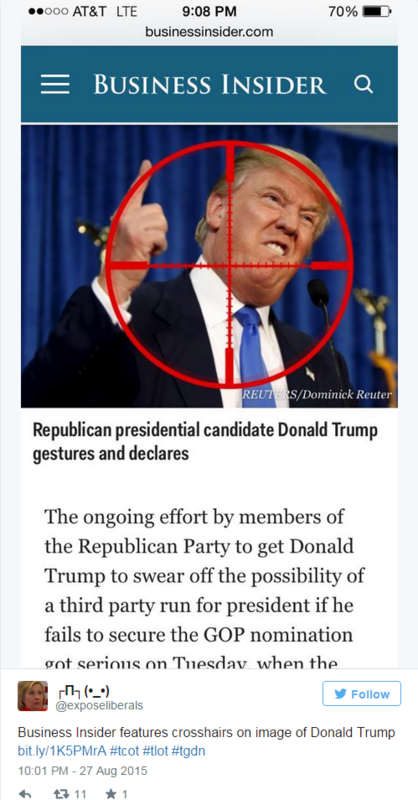 The story is on Donald Trump threatening to run on a third party ticket and him having to pledge obeisance and fealty to the Republican Party. The framing of the article sends quite a different message. A commenter made an excellent point: “It’s even MORE stupid when you understand that the marks on Palin’s map aren’t aiming cross-hairs at all, they are register marks, used in offset printing to “register” the printed color overlays on different printing plates. Quite unlike the obviously gun-related aiming point used on the Trump photo, which is quite specifically a replica of the aiming reticle of a telescopic rifle sight (rifle scope).” So you see, someone knew what they were doing and what they were trying to convey. The more the Leftists and the media keep pulling these stunts, the more popular they make Trump. Just keep it up… you’ll knock him right into the White House.